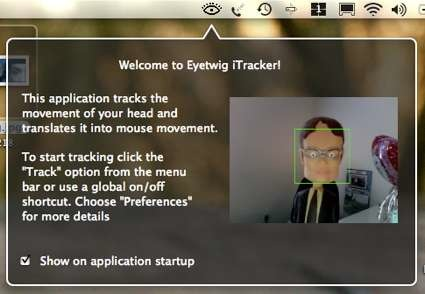 EyeTwig provides a practical, friendly, low-cost and complete alternative for interacting with your computer, based on the movements of your head! The technology behind the system requires no special hardware and is based on real-time identification and tracking of objects. Thus, the system provides a real and complete alternative for human-computer interaction by identifying and tracking the movements of the user's head only. Try iTracker and start controlling your Mac with your head - it's free! iTracker 1.2.1 is out, support for macOS Mojave and more! The best head tracking software that just works. All you need is your webcam (designed to work with the built-in iSight as well as other webcams). Love and passion for the things we do is what EyeTwig was conceived upon. We are a small company that loves Apple products and is passioned for building great software to be used on top.